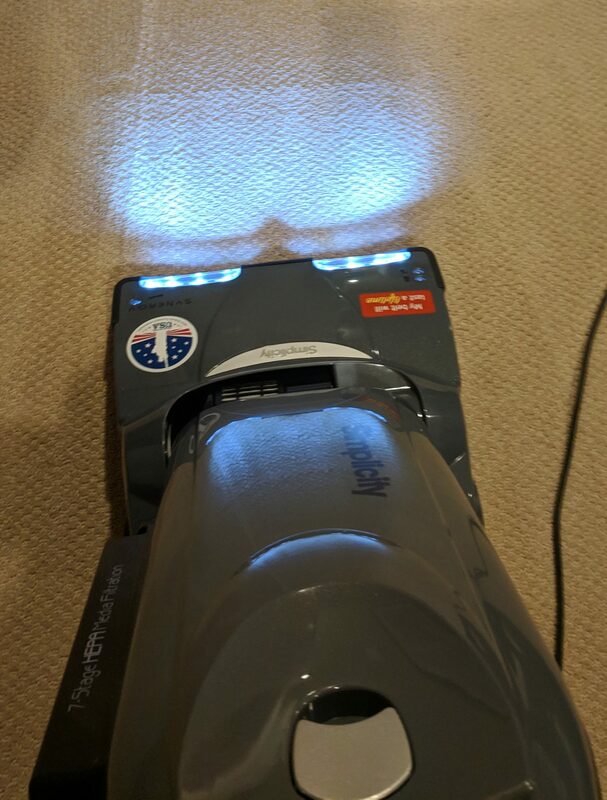 Technology counts, even in a vacuum. 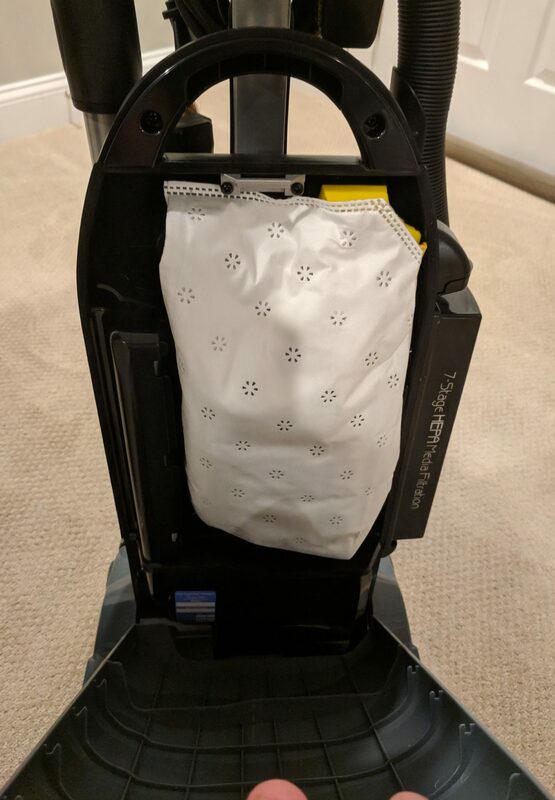 Simply vacuuming with the Simplicity Synergy Plus vacuum is not only a great way to clean your home, but is also an essential healthy living requirement! 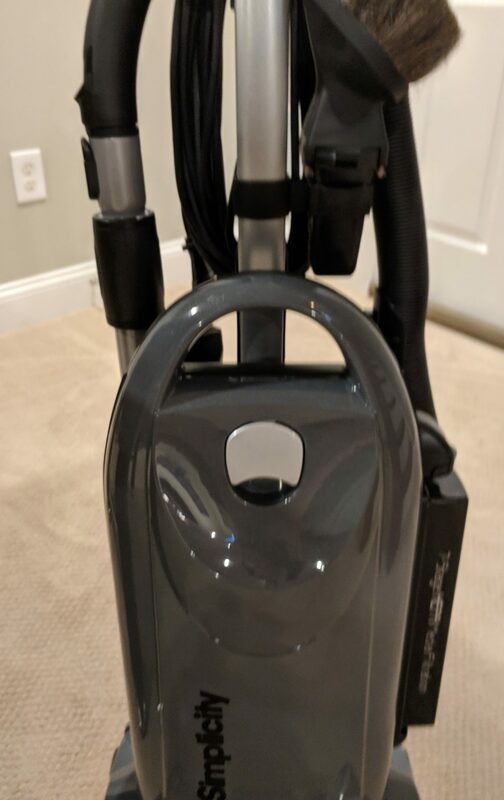 Recently we got this vacuum to replace our Dyson bagless units. We have Dyson units – the Upright Ball and the Ball canister unit. My wife was into these, the cool Scottish accent on the ads, and the slick design. I’ve never been impressed with their performance, but you do get visible assurance that they are doing something. The Upright is the better of the two. I’ve hated the gross experience of cleaning out the cyclone’s interior. Ick. That’s what we’ve been using for years. We looked at Miele and other “permium” cleaners, but sticker shock kept us at BestBuy. 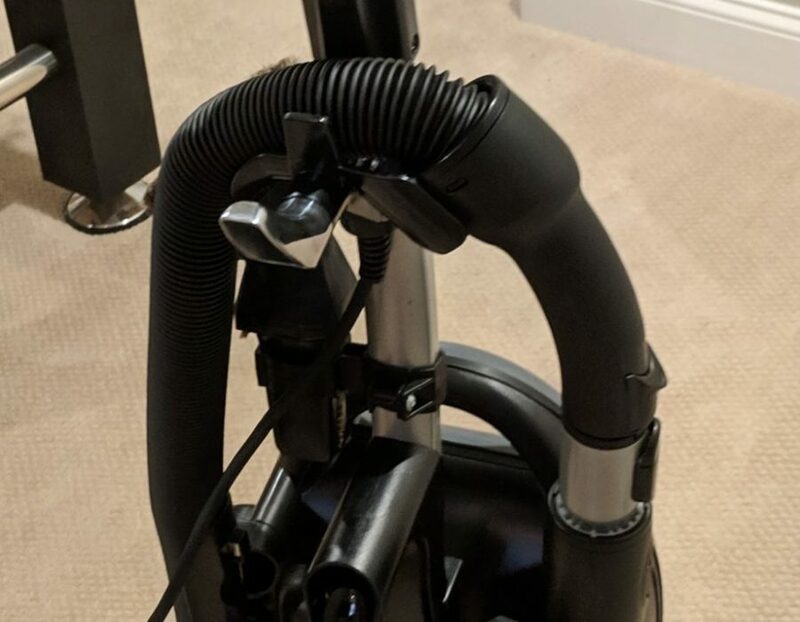 Not that the Dyson units are cheap. 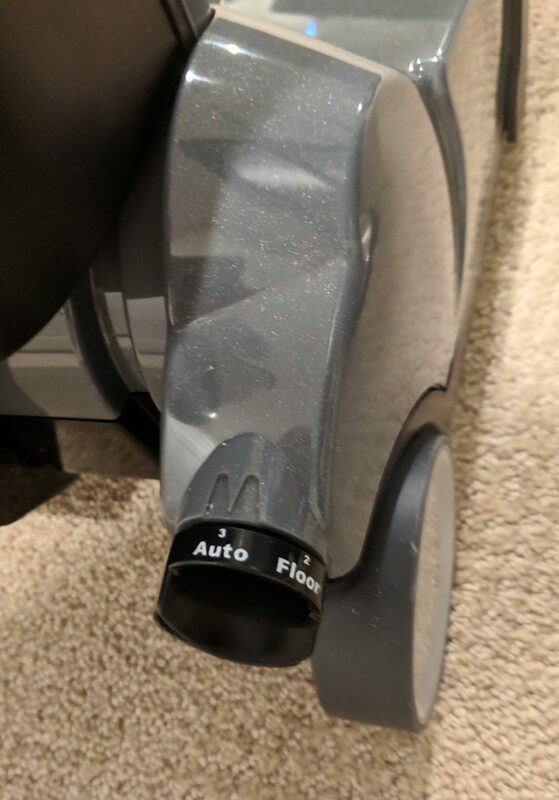 Both Dyson units are advertised as filterless, but both of my units have filters – so not sure what they are talking about. 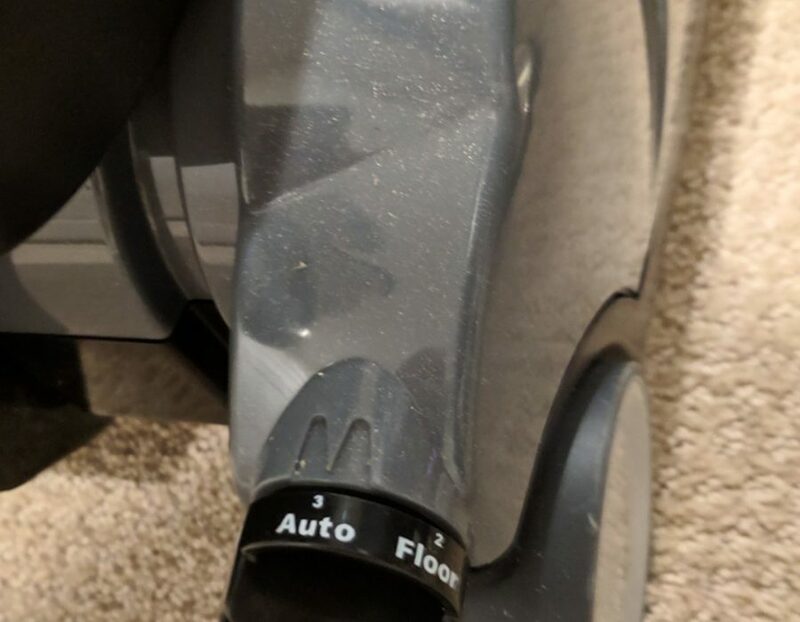 We started looking at new cleaners because we just re-carpeted our upstairs. 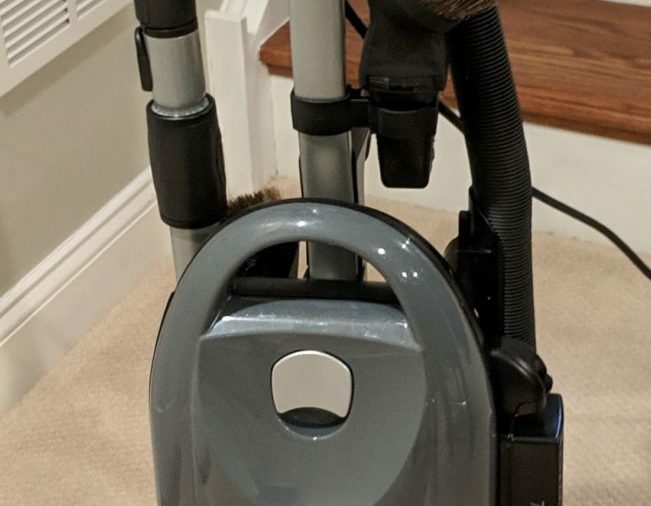 The Dyson units cannot deal with the thick pile and we want to keep these carpets clean. The upright just rubs across the surface; it is lacking in suction. The canister unit’s carpet head just gets bogged down. It just does not have the power to work. We’ve got about 2500 sq ft of mixed floor surfaces with hardwood, tile, and carpeting. We’ve got a dog and we have 3 people here in the house. Pretty basic stuff. 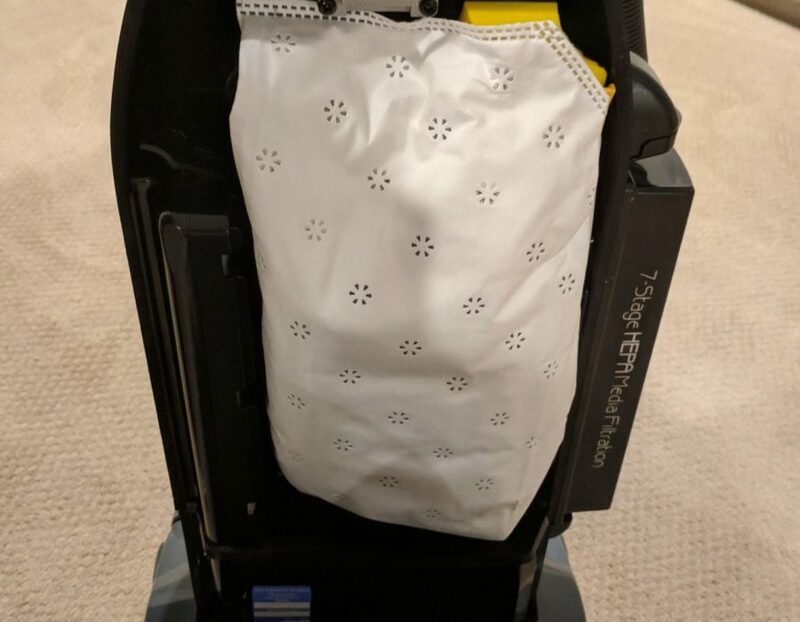 We have 3 living floors so we need to haul the vacuum cleaner around quite a bit. Some of our carpeting is low pile Berber carpet and some is deeper pile. 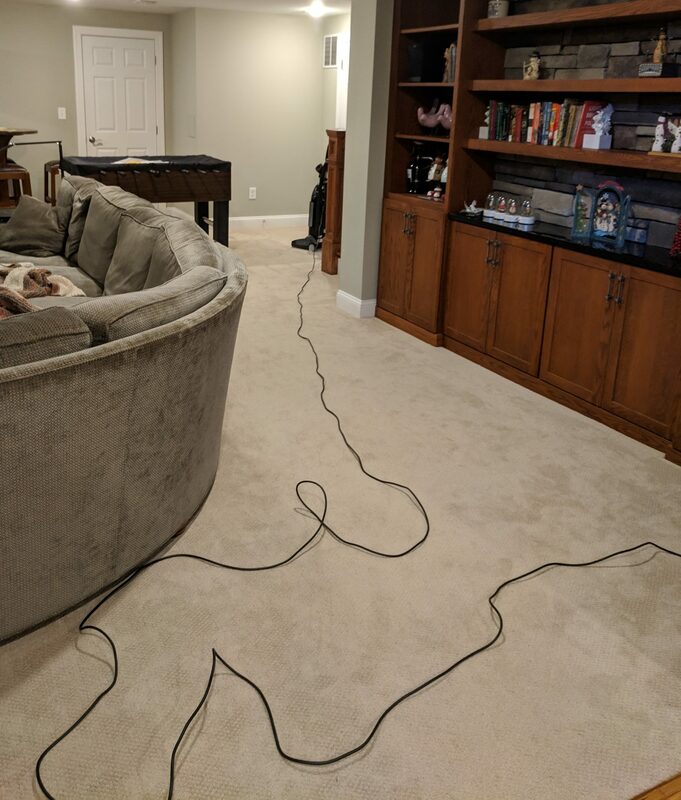 So we have a variety of carpet heights to deal with. We also have stairs – both carpeted and plain wood to keep clean. Well you can google (lowercase intended) around or check Amazon and get the typical list of cleaners that are sold on the internet to get an initial list of products. 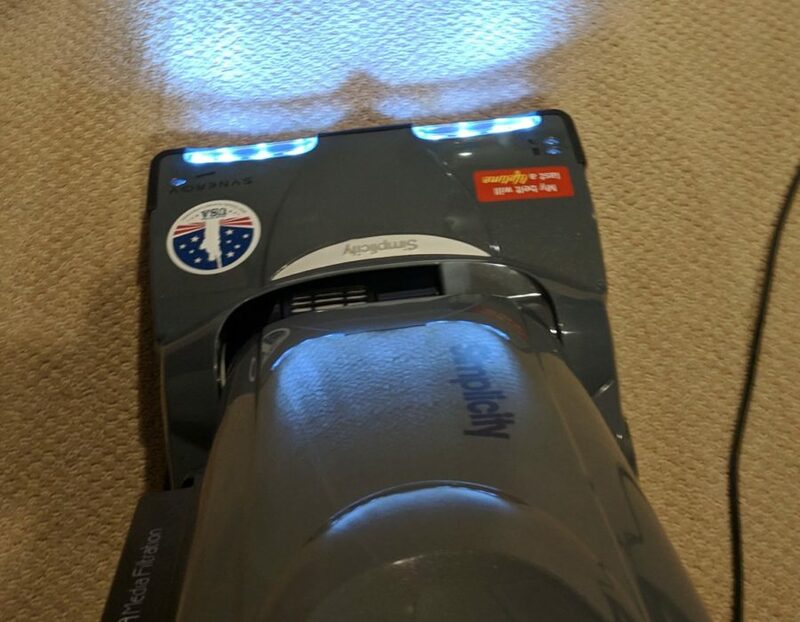 Shark, Dirt Devil, Dyson, Kenmore, etc. Some reviews will mention Miele, a German manufacturer. Apparently, most premium vacuums (machines that actually work) are still sold only thru brick and mortar stores. 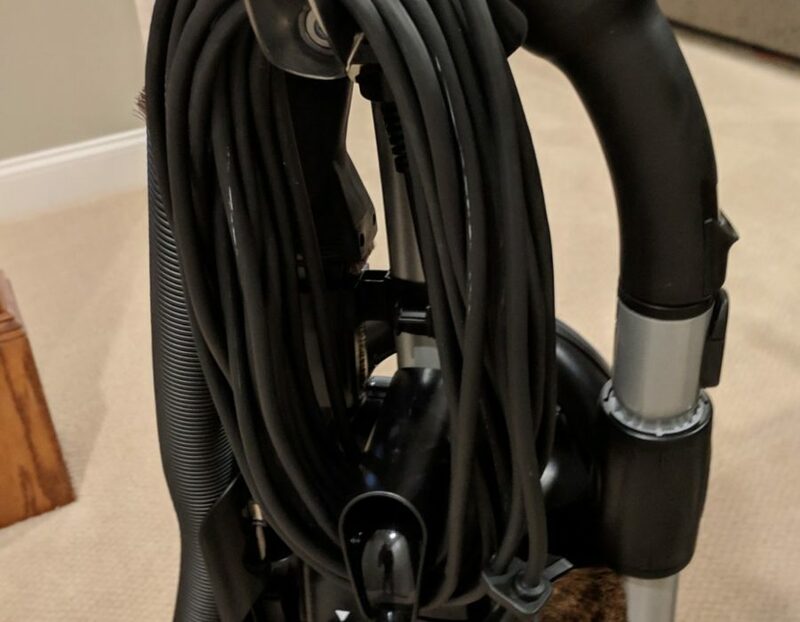 We started there and quickly it became apparent that the best vacuums are sold only thru local stores (authorized dealers), which of course has pros and cons. In fact when you look on the internet you are only seeing one dimension of the market for vacuum cleaners. Basically you only see what you can get online. I’ve noticed the same is true for mattresses. Go look at mattress reviews and you see all these brands available on line, but rarely will you see Sealy, Serta, etc, that you would see in a local store. Luckily there was a store only a few miles from home. We headed over to All About Vacuums, a local authorized Miele dealer, and tried out a few models from various maufacturers. I was convinced (the interwebs did it!) that a Miele unit Dynamic U1 HomeCare PowerLine was the way to go . It is highly rated on many review sites, it has great power, good tools, decent warranty, and a long cord. Definitely a nice unit, but there were a couple of issues. The first was about the carrying handle. It kinda forces you into an awkward counter-balancing position when you carry it. 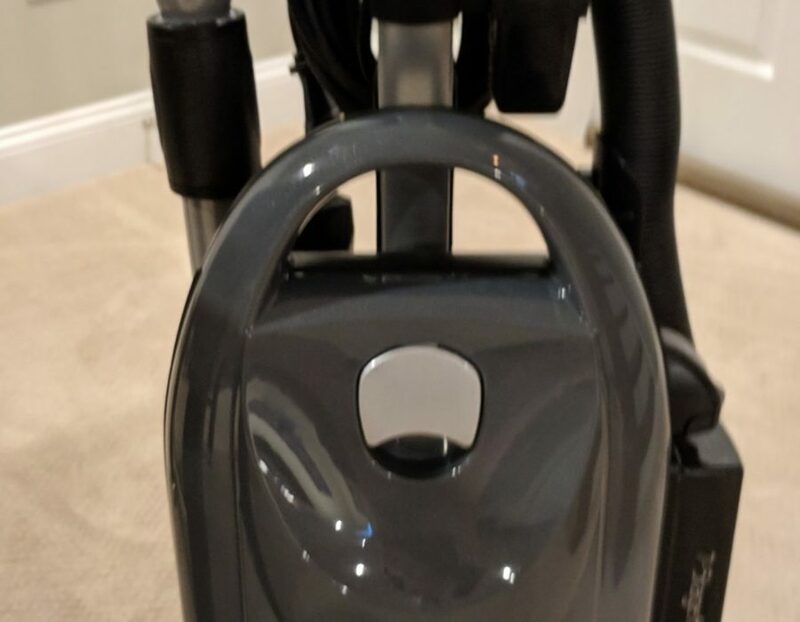 The second issue was with the swiveling of the upright. As you move and turn it, there’s a swiveling that happens. It makes it easier to steer, but if you don’t lock it when you are done the unit tends to fall over. I guess you might get used to this, but seems like a PITA. The Miele was very quiet – half the noise of other units. Apparently there are laws in Germany, where the unit is made, about vacuum cleaner noise (yes, seriously). We left the store with a Simplicity. After looking at the Miele we looked at a SEBO unit, but that one felt flimsy. So I asked the guy “What’s the best unit you got?”. He suggested Simplicity. The same company that makes lawn tractors? Ha, no. 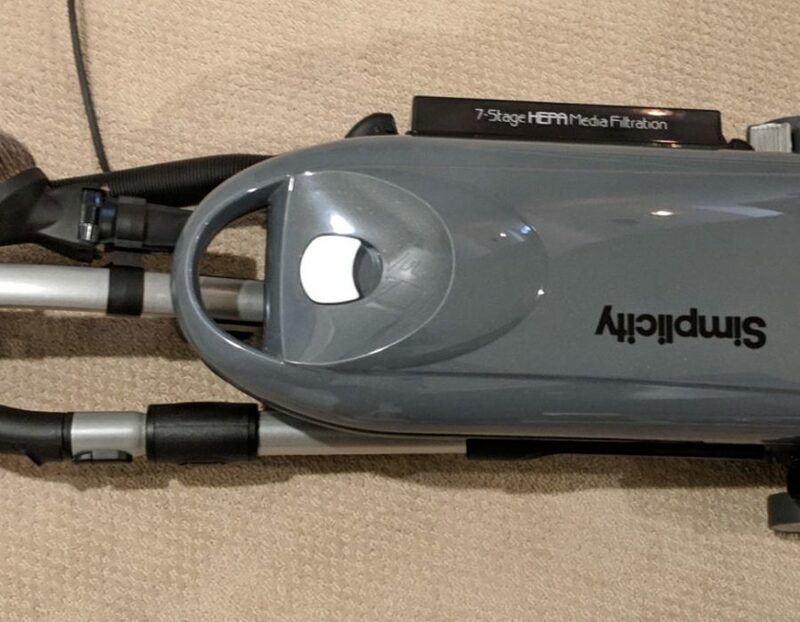 Never heard of this vacuum company. Never came up in any reviews. 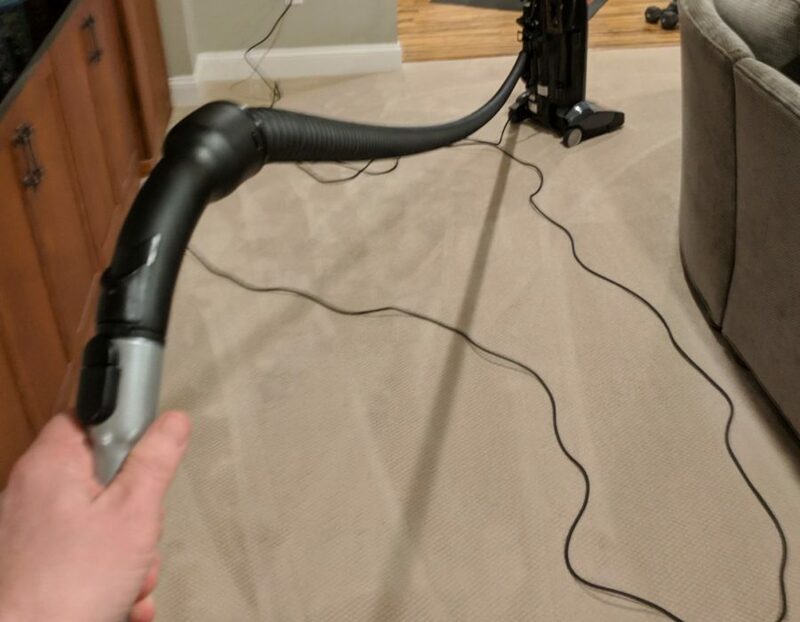 The Simplicity Synergy machine has an adjustable height to deal with all floor types (it also has an “auto” setting), a 17-foot extension hose, lots of great tools, and a HEPA filter that includes a layer of charcoal! The machine also has a 3-brush rotary beater bar where most machines have only 2. The ergonomics of the machine are outstanding as well. which is good because it is heavy. A simple handle to pick it up makes the unit easy to carry up and down stairs. 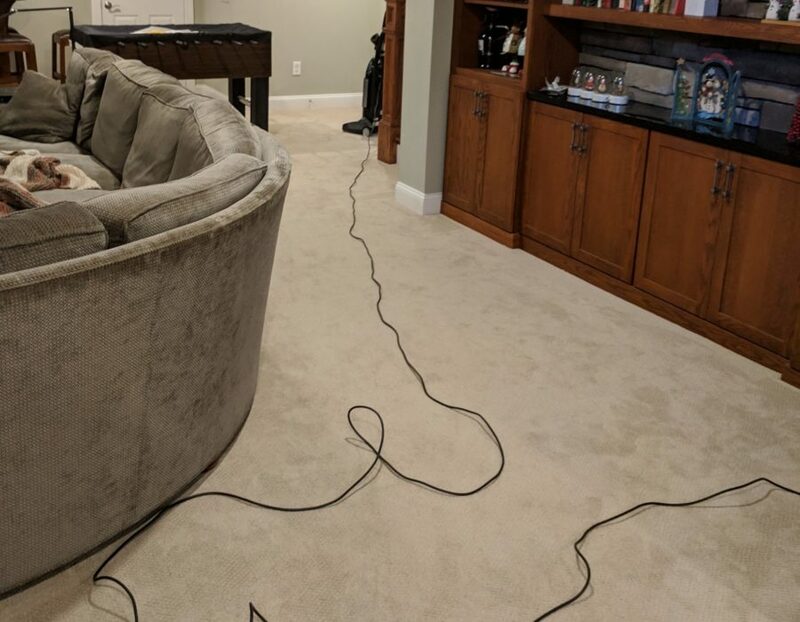 The cord is a whopping 40 ft. long too. The extension hose for the tools is very supple. 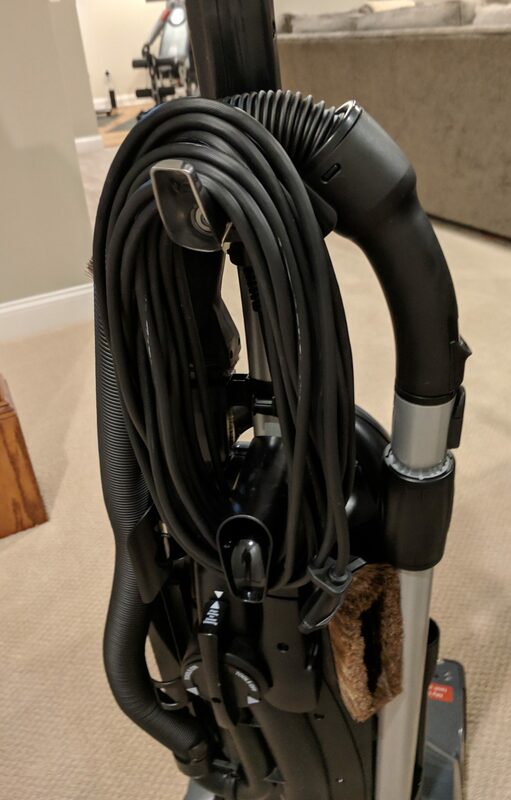 The hose on the Dyson is so stiff that when you try to stretch it, the unit comes along for the ride. The machine has multiple motors to ensure consistent suction. It also has a great clutch feature that stops the beater bar if an object gets sucked into the beater bar. The belt that drive the beater has a lifetime warranty. 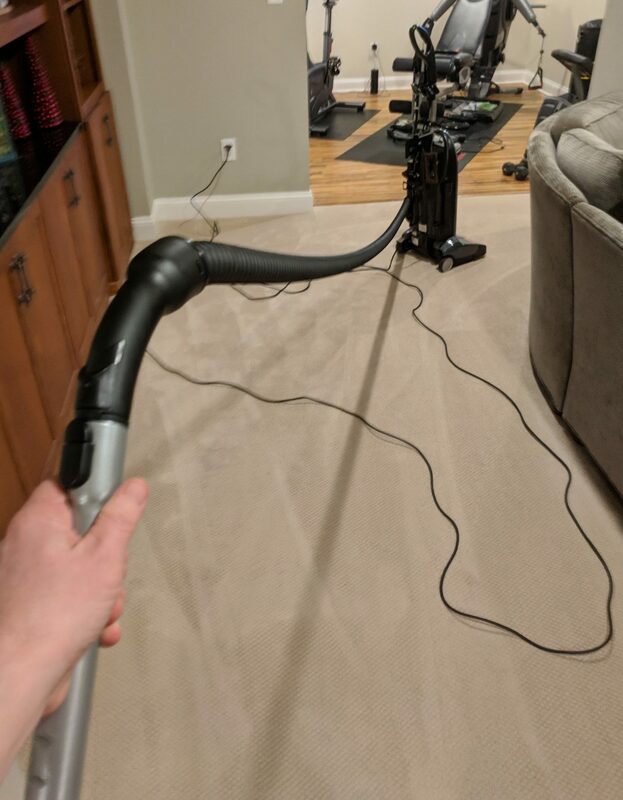 No doubt about it, when getting a vacuum you really need to test drive it. Not only did we get a better unit, but we also got a ton of extra services from the local store to help us maintain it in perfect condition that you would not get buying something on line. The store has an annual maintenance program that includes a complete machine breakdown and clean out so that it is in perfect working order. Cost? Included with the purchase of new filters and a box of bags. Did we pay more than what we could have got on Amazon? Yes for sure, but we got a machine made in the USA, an 8 year warranty, and a local shop that can help us with any issues. I’m pretty confident that we made a better purchase.